The rest of Patriot Nation may have been on edge, but wide receiver Julian Edelman knew he caught it. His incredible, heroic catch came late in the fourth quarter of Super Bowl LI, in which he snagged the ball just mere inches from the ground to help keep the New England Patriots’ chances of a comeback alive. 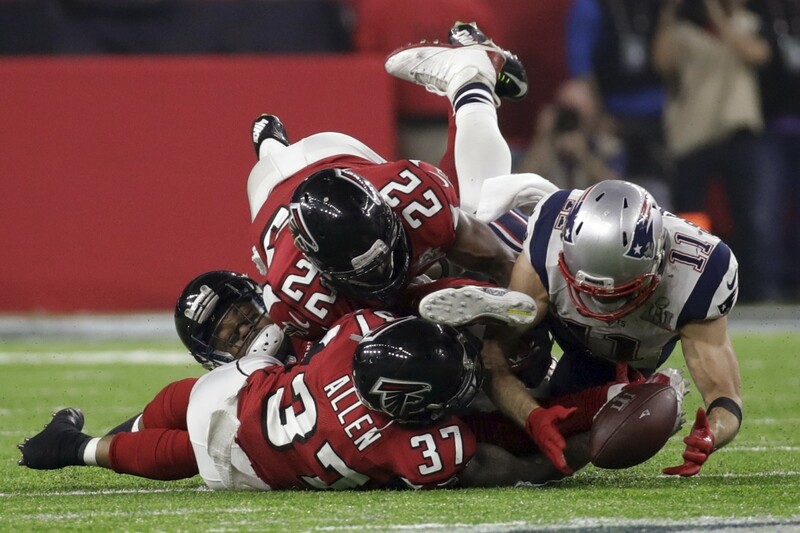 Even Atlanta Falcons cornerback, Brian Poole, couldn’t believe it, as he and Edelman can be heard exchanging words about the play. “I caught it – crazy,” Edelman said to Poole. “No way, look at that,” Poole responded as he pointed toward the big screen.